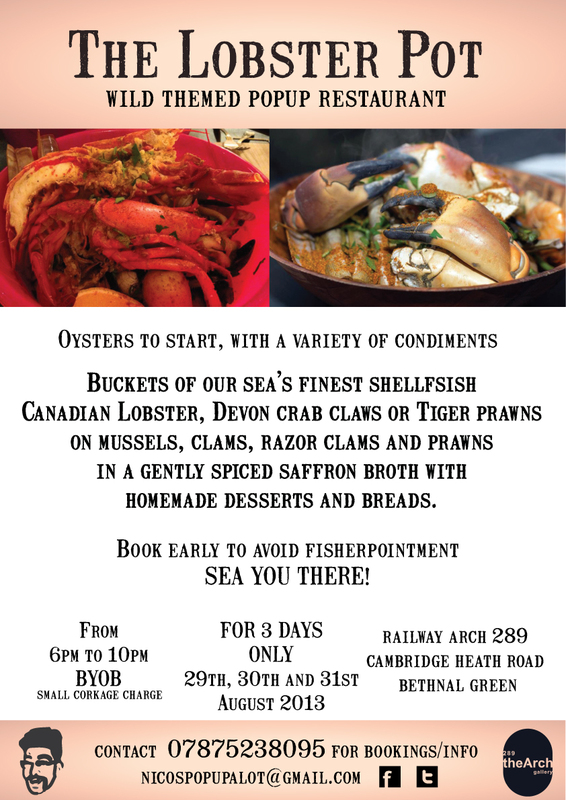 NicosPopUpAlot is back with his fourth Lobster Pot event, another three day pop-up the end of August, based around lobsters & other shellfish. Full menu on the flyer above (click on it to enlarge it). 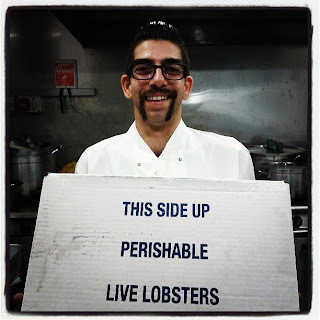 I visited last time, and the lobster was amazing. 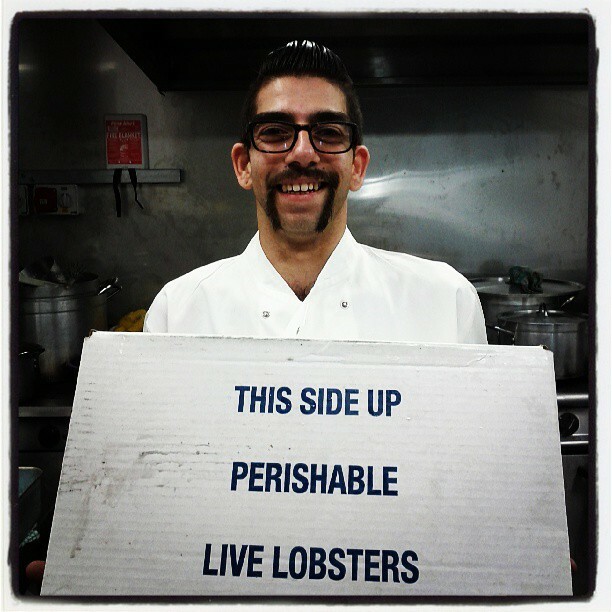 Please support Nicos in his aim to feed the whole world with shellfish! "We're back for another three days. Even bigger portions than last time. buckets are around £50, around £25. per person. 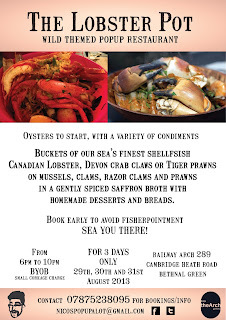 Book early to avoid fisherpoinment"